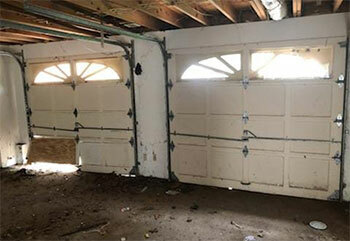 Our experienced garage door technicians have been very busy lately. Below you can find some of the most recent projects that our team completed. Let us know if there's anything we can help you with. Customer Issue: Mr. Bulabargev wanted his new housing unit in ship shape before his family arrived, including an automatic overhead door for the garage. Our Solution: With our consultation, the customer picked out a readymade Windsor model 37 steel raised-panel garage door, with the recommended LiftMaster 8355W belt drive opener and wall switch to go with it. 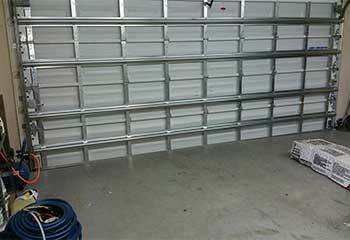 Assembled with matching photoeyes and torsion spring system, the new automatic garage door is now fully operational. Customer Issue: Opener makes strange sounds and can't move the door. 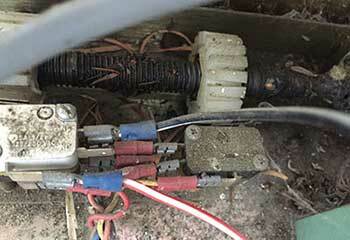 Our Solution: We immediately suspected that the main motor gear had either broken or become worn. We removed the unit's cover and quickly discovered we were right. We replaced the worn gear with a new one and the opener was as good as new again. 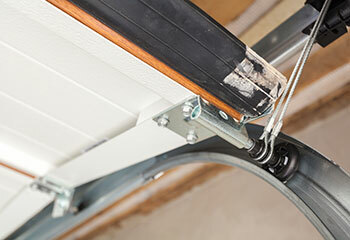 Customer Issue: Worn and noisy garage door rollers. Our Solution: Noise was one thing, but this customer's door had started struggling to move because of how severely worn a lot of its rollers have become. We replaced them with new units, which we then lubricated so that they could work smoothly and quietly. Customer Issue: Wooden panel broke. Our Solution: The reason for the breakage was accidental, but the damage was serious all the same. This customer had a sectional door, so we were quick to reassure him that the situation wasn't as bad as it seemed. We acquired a new panel from the door's original manufacturer, and then replaced the damaged section and made sure it was properly secured.